The textured tweed upholstery heightens the visual interest of this already stunning chair. Product Description Compact and Contemporary. 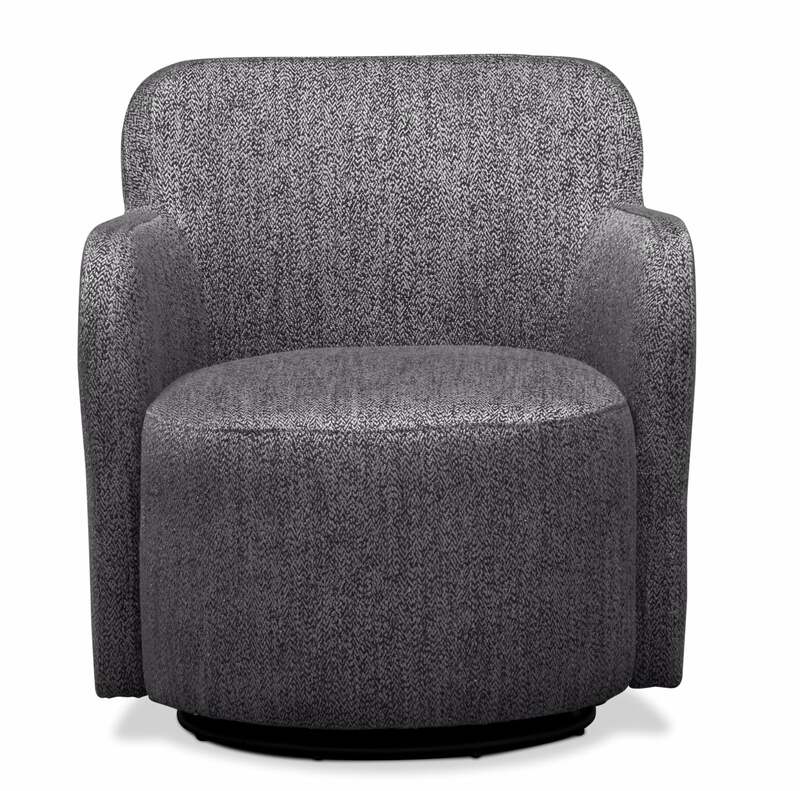 A unique take on the tub chair, the Garcia swivel chair offers modern style and flexibility for all room sizes. Foam encased seat cushions and a rounded barrel-back are draped in tweed upholstery that offers durability and charm. Great for small spaces or displayed as a pair, this chair is designed with track armrests that curve at the ends, enhancing the seating experience. A swivel base allows convenient 360-degree motion. Unique Features: Ideal for small spaces or displayed in pairs. Classic barrel-back design blends with modern track arms. A swivel base allows for 360-degree movement. Neutral gray tweed upholstery offers a textured look. Construction: The resilient hardwood frame ensures durable construction. Cushions: Foam cushions provide firm yet comfortable seating.